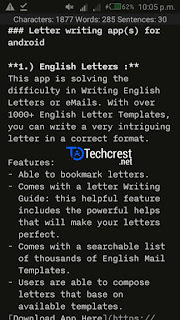 Few days back i talked about the best letter writing apps for Android. 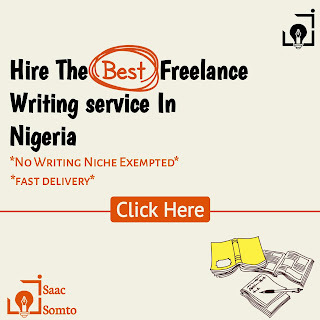 But today I'm going to talk about the best writing apps for Android users, these apps will easy the stress of writers who make use of Android phones. As a blogger and writer i might be on a trip and get story inspirations, i quickly get my phone and open some of the best writing apps for Android and start writing. Writing on Android isn't tough as many people believe. 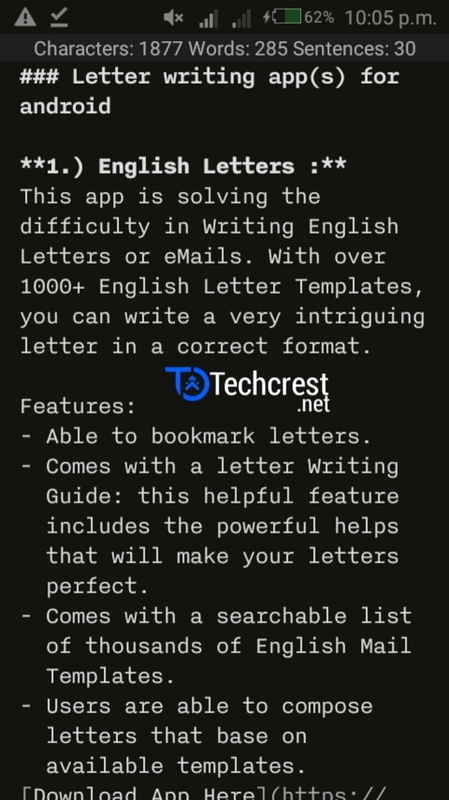 If you find the best writing apps it'll become easier to write and you write on the go as most of these apps have auto correct features, check how many words and can export your work in PDF or HTML format. 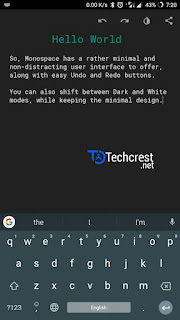 I love using extensive notes (doesn't mean that it's the best Android writing app... Just loves using it) and i hope you find the perfect choice of writing app for yourself. Personally I'll rate this the best writing app for android phones. Aside it's “sweet” user interface it is easy to understand and comes with some of the best features that will easy the stress of writing. Lets talk about some of iA Writer features. When writing you can insert headings and other formatting options (like italic, bold/strong, etc) with a single click, you can also move in between texts to correct a word you misspelt. Additionally you can redo and undo. When it comes to exporting your work, iA Writer wears the crown as the best. How possible? Lets see. iA Writer lets you export your work as plain text, HTML, PDF or Microsoft Word sweeeeet!!. With a not so distracting user interface to keep you focused on writing your piece it allows you change different modes from the focus mode to the night mode and so on. iA Writer also allows you know the word count of your piece (as a freelance writer, this is very important). 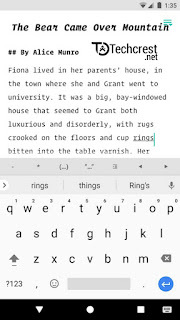 iA Writer is giving premium features for free to Android users. With iA Writer you can save your work to your cloud storage immediately (supports only Dropbox and Google Drive). Have i told you that there are no restrictions to features, everything is free (I'll call it a “freemium” app). Still not convinced that this the best? I guess a trial will convince you then. Download iA Writer from here. Jotterpad gives you a bit of iA Writer features but makes some of the features available for pro version users only (you pay to get the pro). JotterPad has an intuitive user interface and offers a very customizable design as you can change typography, theme, viewing mode etc. One thing that makes jotterpad different from other writing apps is that it will arrange your works dynamically. Another feature that makes this app stand out from the rest is a feature called reference. What does it do? With the reference feature you can enter a word and it will show you the meaning, within the app itself. JotterPad has a lot of good and nice features available though most are in it's Pro version. When it comes to exporting, i won't rate it the best but it is OK. JotterPad lets you can export to PDF format (but it's watermarked.. Unless you go Pro). Monospace is a good writing app to which offers a less distracting user interface to its users. Monospace also allows users customize works to a great extent. 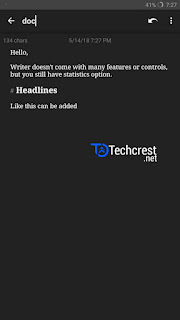 For example users can change text size, title color, etc. Users can change almost everything. Additionally, it lets users format texts by selecting the area. Users can add bold, italics and it even lets users insert quotations. Monospace also has quick shortcuts for Copying and Pasting. So, if you need a bunch of extra features than minimal writing, Monospace is the writing app for you. More exciting is that Monospace lets you organise your works easily with the use of hashtags. This means that it allows you to simply add a hashtag and all the documents will be stored under a folder. 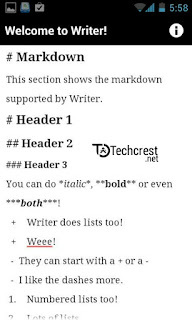 When it comes to exporting your work, Monospace allows you to export your document as a Markdown document or as plain text. 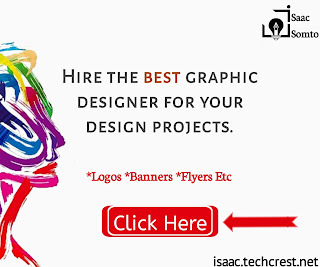 Though some of its features are available for Pro users to. Coming with an intuitive user interface. Writer plus gives users a better organization. It allows users to arrange their works in different folders. 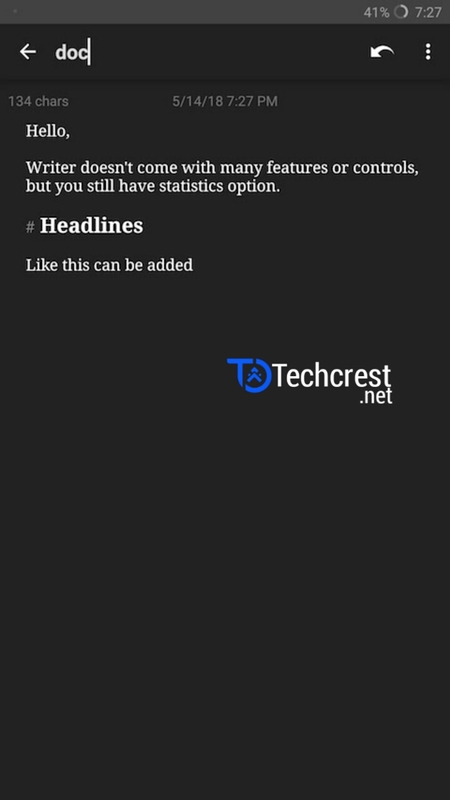 Though writer plus doesn't give users the pleasure of great customization options, it allows users to choose between the black or grey theme. When it comes to exporting your work, writer plus lets you share / save your work as a text, text file, markdown file, image file or even HTML file. One thing that makes me rate writer plus down is that it lacks formatting options and doesn't have sync options. Though it still has other cool features like supporting Bluetooth keyboard, etc. A writing app named writer (lol). 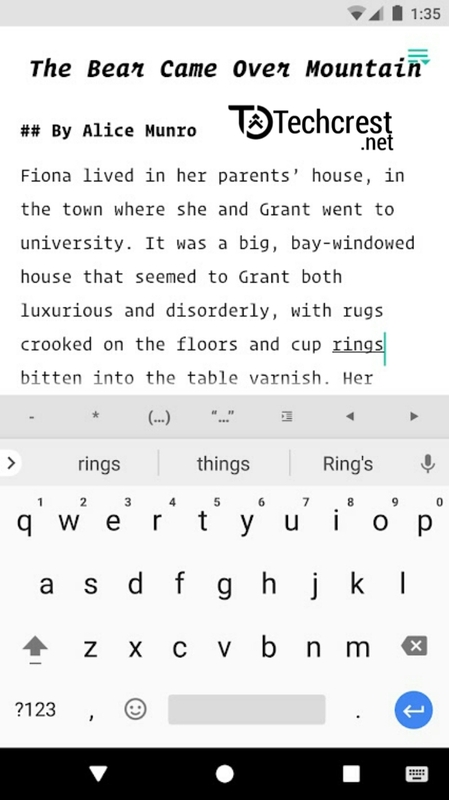 Writer is the best minimal writing app for android phones. It comes with less features. I'll say it is an app for just writing. Writer shows users the number of words and characters in their piece. Additionally, it can show users the estimated reading time. 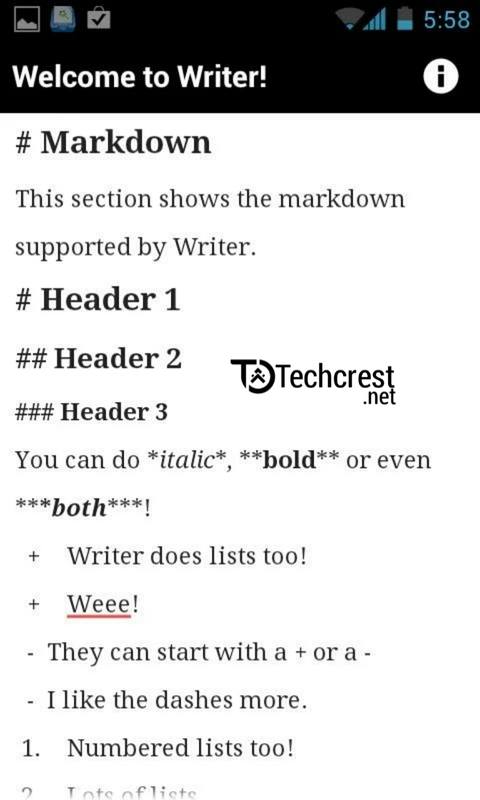 Writer supports basic text formatting like headings, italics, bold etc. Writer is simply a very simple writing app. First of all i think you should know extensive notes isn't intuitive. 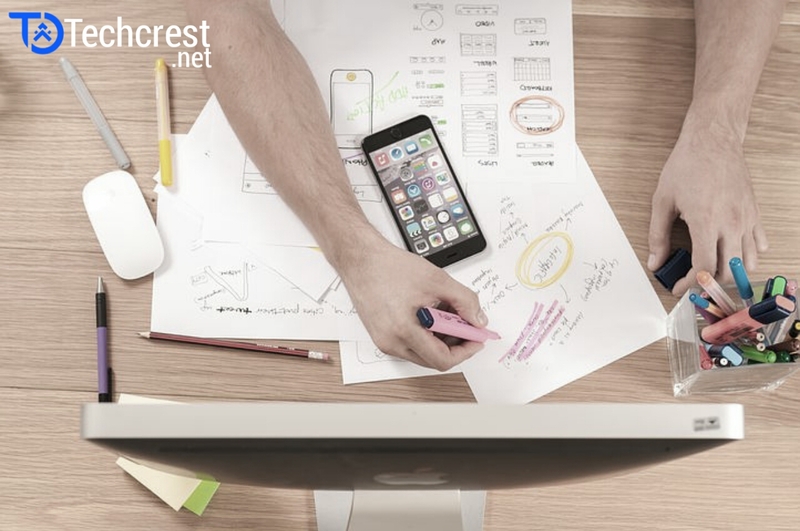 Extensive notes writing apps comes with a lot of features and most of these features aren't really for creative writing (features like To do list). Some of the cool features extensive notes come with are audio note, paint note, video notes etc. The to do feature is just one of the reasons i love using this app. Extensive notes is also allows users works to be organized using tags, folders and accounts. Users can save work in extensive notes. Only Pro users have access to other great and wonderful features. Download extensive notes from here. This is more than a writing app. 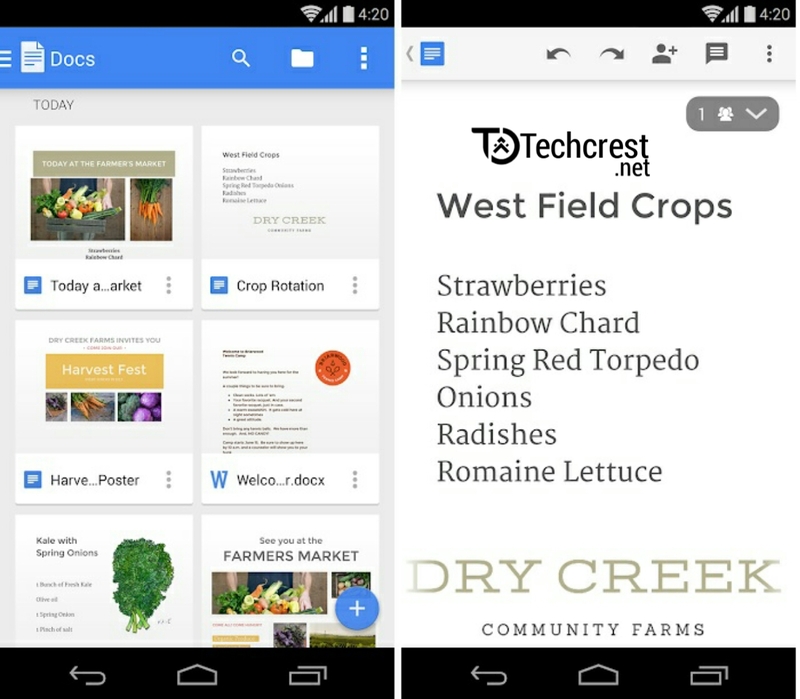 Google Docs app is a very powerful writing app. I personally loves using Google Docs for writing long articles or important documents because it automatically saves everything i type in the cloud, so i have nothing to lose. 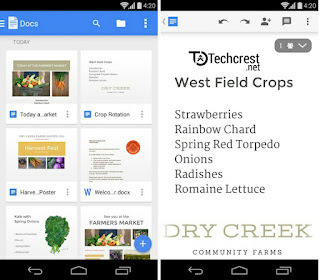 Additionally, Google Docs allows users to edit documents on all their devices, including computer and iOS devices as long as they're connected to their Google account. One of the cool features of Google Docs is the “real-time collaboration” feature. This feature allows users to work on the same document with friends from different devices. Though Google Docs is not that perfect as it requires an active internet connection to be fully used and previous works can't be edited without internet connection. 1.) You will be able to write anytime you get an inspiration to write. 2.) Ease the stress of writing. These apps i wrote about are apps i consider the best for writing. I wrote out of experience of using a good number of writing apps for Android. If i were to advice you on which you should choose I'd say you should go for iA writer and extensive notes. iA writer has almost all the features of all the apps listed above. Kindly comment if you know any other best writing apps for Android that is not on the list.